What you see at the Twist today is not what you will see tomorrow or maybe ever again. The Twist is constantly changing, adding new things, learning from their mistakes so that people get a different experience every time. “Our trash can pong, ping pong and all the pool tables and obviously our live nusic is what makes us different from anyone else in Stephenville,” Kayce Howell said. Twisted J started off as a small boutique with only three employees. 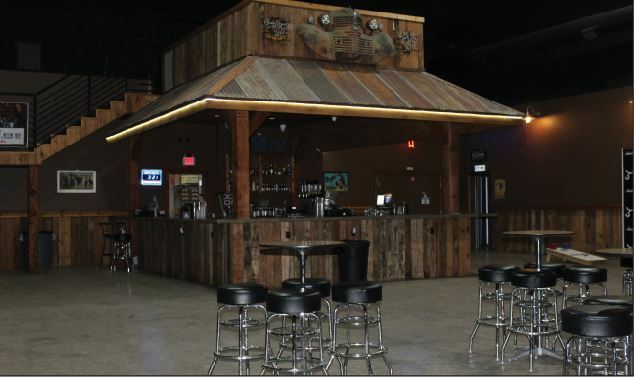 Now, the Twist is a popular entertainment venue in Stephenville with over 100 employees. The Twist began expanding its business by creating a merchandise company called “Twisted J Apparel,” then continued to branch out by establishing a bar and a radio station. As the business continued to grow, Twisted J expanded its company even more by opening a larger venue in January 2018 with a larger stage. This created more opportunities and the Twist’s atmosphere completely changed. “We went above and beyond to bring something new to Stephenville and the area that had never been done here,” Johnson said. With drink specials every night of the week including three 50 cent well nights, as well as having games like trash can pong, ping pong and pool tables. 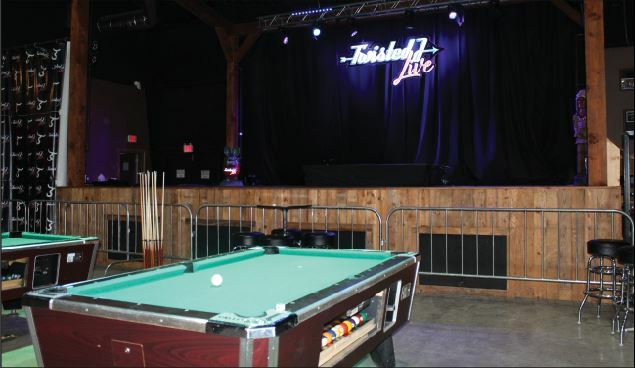 Twisted J is not a bar or a nightclub; it’s an entertainment venue that is here to entertain a wide variety of people. “We welcome feedback. We enjoy visiting with everybody. We want to know what y’all would like to see,” Johnson said. Twisted J cares about the guests who come into their business by providing great customer service. “Our bar staff has 5/5 rating on everything. We really gotta pride our self on customer service to make sure that everyone is happy and acquainted,” Assistant Marketing Director/ Bartender Trey Burden said. Twisted J live hosts at least one full band concert each week, as well as offering free acoustic shows every Tuesday. 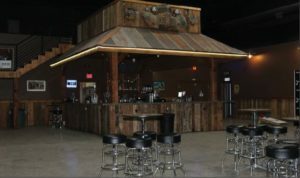 The stage lights and sound system are one of the many factors that set Twisted J apart from other entertainment venues and bars in the surrounding area. As diversity grows in the community, country music is no longer the only genre demanded in Stephenville. Twisted J brings the ultimate experience to Stephenville that no other venue or bar has ever done before. With a boutique, their own apparel line, a radio station, and a bar what will the Twist do next? In order to continue growing, the Twist is keeping things new and fresh by offering more than just live music. The venue started a piano night every first Friday of the month and every Sunday, when the Dallas Cowboys are playing, they offer free wings and queso. Events coming up at Twisted J include: Kyle Park and Randall King on Thursday Oct. 18, Joey Green on Friday, Oct. 19, after the Tarleton State University Bonfire and LC Rocks, a 70s, 80s and 90s tribute band on Saturday Oct. 20. Contact Twisted J at 254-434-2660 for more information.